Moog Werkstatt-01 – a compact, patchable analog synthesizer designed by Moog Music and built in the US. A kit with extremely easily assemb..
Moog Werkstatt-01 – a compact, patchable analog synthesizer designed by Moog Music and built in the US. A kit with extremely easily assembly and no soldering required. The Werkstatt-01 was originally designed to be used as a foundation at the “Engineering VIP” workshops at Moogfest 2014. Now, due to overwhelming demand, Moog have released the Werkstatt-01 to the public in a no-soldering-required kit. If you’ve ever wanted to get yourself a Moog, this could be your perfect opportunity. 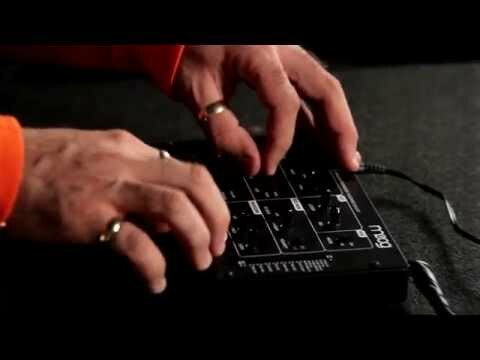 While the Moog Wekstatt is the most affordable Moog analog synth ever. Even with the extremely attractive price tag, this analogue synthesizer has that classic, true Moog sound. It’s analogue, patchable semi-modular and fat sounding. A great sounding Moog synth that’s perfect for players of all levels and ages that helps you get to grips with analogue synths. A website has been set up specifically for use with the WerkStatt synthesizer and works as an interactive learning portal. It contains educational lesson plans, project ideas, tutorials, 3D printer files and anything else you can think of when it comes to modifying your Werkstatt. 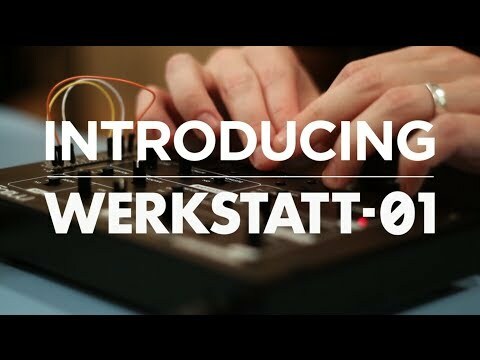 The Werkstatt was intended to appeal to people of all ages and works perfectly as a first synth; allowing you to learn more about how analog synths work while having fun modding your Werkstatt and creating awesome sounds. Whether you’re new to synths or you’re a synth veteran; the Moog Werkstatt-01 comes at a great price and you’ll find it a lot of fun to use. Even if you’ve never played around with a synth before, you’ll find yourself playing and creating great music in no time and learning while you’re doing it. Perfect for learning how to work with synth circuit boards and really understand the inner workings of what goes under the hood while also having fun and producing awesome sounds. Select between the Envelope generator and LFO as Mod Source.